A pair of adventurous Common Seals have travelled from the Norfolk coast to Fife to find a permanent new home in Scotland. Dug and Silver made the long, incredible journey by road to their new residence at St Andrews Aquarium from Hunstanton Sea Life Centre. 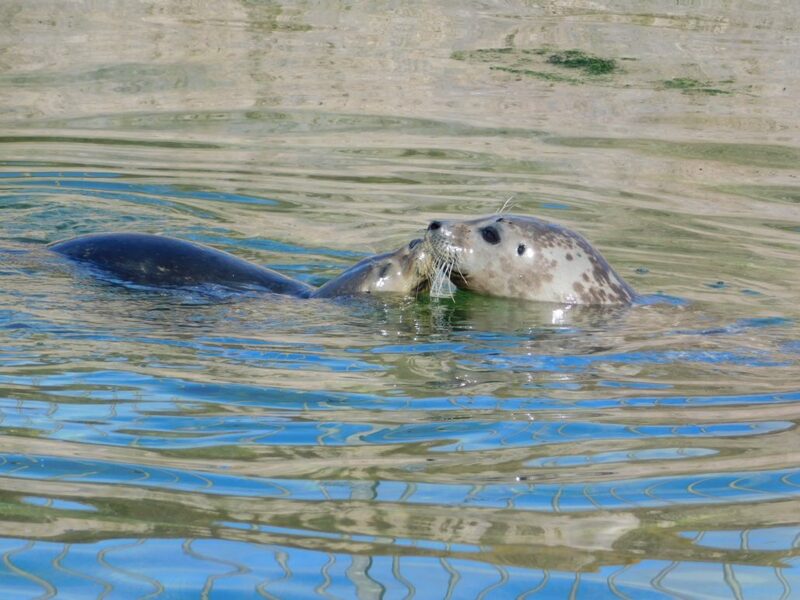 Dug, a one-year old rescue seal and Silver, a three-year-old seal born at Hunstanton Sea Life Centre, arrived at St Andrews Aquarium on Friday afternoon and have been given a warm welcome by their new pals, Nelly and Luna who are the aquarium’s two other Common Seals. 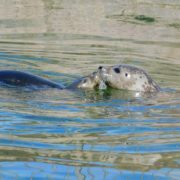 Dug and Luna even sealed their new friendship with a kiss when Dug made his way into the water. 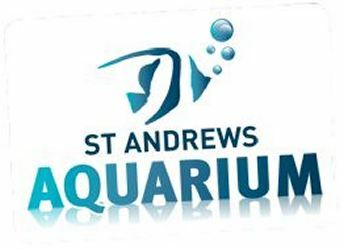 A great day out for all the family, St Andrews Aquarium is home to an array of marine wildlife from Humboldt Penguins to Poison Dart Frogs. There’s also an incredible family of sociable meerkats to see and even meet up-close on a feeding experience when exploring the aquarium.